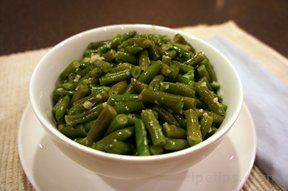 Fresh green beans are simply seasoned with Basil &amp; Garlic Seasoning. 1. 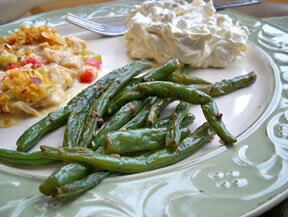 Cook beans in boiling water 7 minutes or until desired doneness. Drain well; return to saucepan. 2. 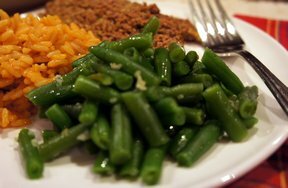 Toss green beans with butter and Seasoning until well coated.Test Kitchen Tip: Substitute 1 package (16 ounces) frozen green beans or broccoli florets for the fresh green beans. Cook as directed on package; continue with Step 2.